If you busy updating your WordPress installation to V5 then take care if you also use Contact Form 7 and reCAPTCHA. 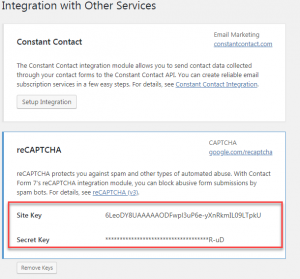 The latest version of Contact Form 7 uses recaptcha V3. Interestingly, reCAPTCHA v3 works in the background so users don’t need to read blurred text in an image or even tick the “I’m not a robot” checkbox. 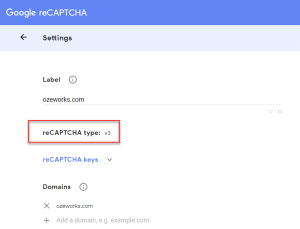 So you no longer need the recaptcha form-tags on your email forms. But don’t worry, if they are still there, Contact Form 7 5.1 or higher ignores them and replaces them with an empty string. You will need to create a new site under your Google reCAPTCHA as it is not possible to upgrade the current entry. When you create the new site, nominate V3 as the API and then add the new keys to your Contact Integration settings. If you use reCAPTCHA on your eCommerce forms, we suggest you test that it is still working.